A novel that brings the fascination of ancient Egypt to life. A novel that is as rigorously researched as it is entertaining. To read, enjoy and learn from. 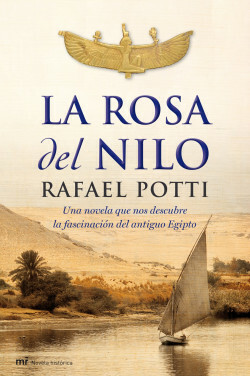 Rafael Potti manages to immerse us into the internal politics, wisdom, art, knowledge and daily life of ancient Egypt with a masterfully woven plot of many voices and an immense knowledge of the culture of a civilisation that is thousands of years old but still fascinates us today.